As the DCRI Director of Biostatistics, Dr. Pencina serves as a key institutional leader overseeing the strategic and operational direction of our biostatistics talent and resources at the DCRI. In this role, Dr. Pencina guides a strategic vision to meet the needs of DCRI investigators by developing necessary infrastructure while also partnering with the B&B Department to assure that the DCRI’s objectives and services are well understood and supported. 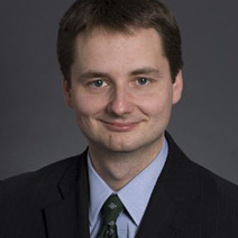 Prior to joining the DCRI in 2013, Dr. Pencina served as an associate professor in the Department of Biostatistics at Boston University and as Director of Statistical Consulting at the Harvard Clinical Research Institute. He brings a wealth of experience in both clinical trials and observational analyses. He has worked on a number of large clinical trials as well as Framingham Heart Study projects. For the past year, Dr. Pencina has also served as the Associate Editor for Statistics in Medicine. He has authored more than 150 manuscripts that have been published in peer-reviewed journals. Dr. Pencina earned his PhD in Mathematics and Statistics at Boston University.